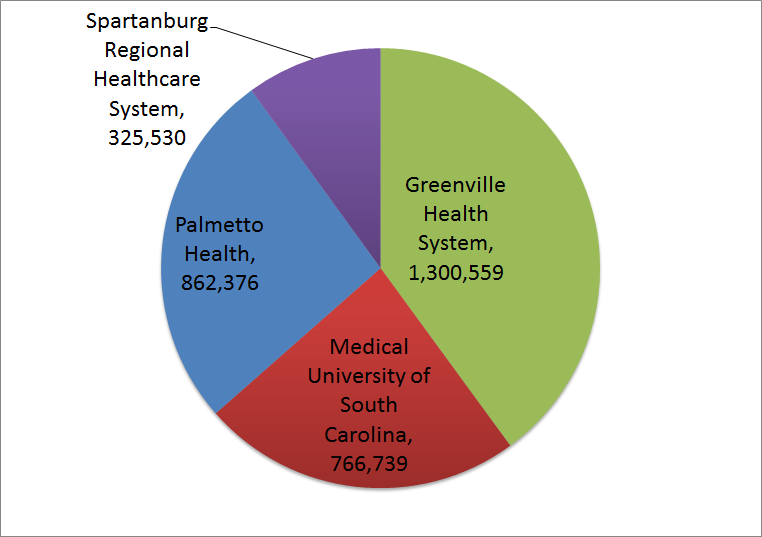 The Clinical Data Warehouse (CDW) is composed of data from 2007 to present and encompasses approximately 2.8 million individual patients of all ages from across South Carolina, including inpatient, outpatient, and emergency department encounters, diagnoses and procedures, medication orders and administrations, laboratory results, and height/weight measurements The CDW has been deployed for research purposes, but the architecture also supports secondary uses for aggregated or non-aggregated data, including clinical data marts that individual members can deploy for their unique purposes. Clinical data marts are an example of optional services that HSSC can provide that leverage the information infrastructure. The architecture is designed to protect patient privacy, confidentiality and data security. The CDW provides clear pathways for data requests with full regulatory compliance and accelerates our translational research programs, which will lead to new diagnostic tools and therapies for a range of diseases. The data warehouse is also invaluable to researchers studying rare conditions that affect underrepresented populations. The Clinical Data Warehouse contains a total of 2,737,123 patients with clinical visit data. The SCIPR infrastructure will satisfy clinical, operational, and quality requirement for researchers, hospitals, physicians, and other healthcare providers across the state. HSSC’s clinical data warehouse (CDW) links and matches de-identified (anonymous) electronic patient records from South Carolina’s largest health care systems to enable physicians and researchers to follow patient conditions in real-time. Are you interested in learning more about Big Data? Please complete the following form and we will get back to you promptly. Please provide a detailed query to ensure that we have the information needed to assist you.